Ma’at may seem, to some, a strange choice for a Goddess during the Winter Holiday Season, but after the US election outcome, this will not truly be a normal holiday season for some who are afraid of what the future may hold, and so, in a feeling of hopefulness, which I have lacked these last couple of weeks, I call on Ma’at, the Egyptian Goddess of Justice and Truth. 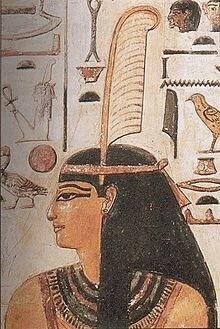 Ma’at can be recognized, always, by the ostrich feather on her headdress. She represents truth, justice and morality. She was also known as the Lady of Judgement Hall and Mistress of the Underworld. She was the daughter of Ra (sun) and wife of Thoth (moon). Ma’at represents the stable universe; She kept the stars in motion, She maintains the order of Earth and Heaven; She changes the seasons. As the concept of order and balance, She brought balance to the daily life of the Egyptians, which was extremely important. Ma’at represented “ma-akheru” or “true of voice”, which was the aim of every Egyptian if they were to have a good afterlife. As such, Ma’at became, in principle, the the morality and ethics of Egypt that each person was expected to follow; She was the rules that became the basis for all Egyptian laws. The thought became, “will there be karma to be paid at this action?”. Pharaohs became known as the “Beloved of Ma’at” and would carry a small statue of her to show that his regime was on of harmony, order and truth. 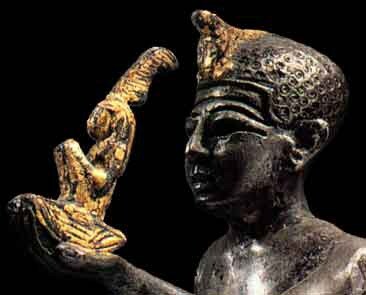 The Vizier of Justice was always a Priest of Ma’at and wore a feather to identify him. He would draw a green-dyed feather across his tongue to signify that his words were true and that his judgement was balanced and fair. I have not committed a sin. I have not slain men and women. I have not stolen grain. I have not purloined offerings. I have not stolen the property of God. I have not uttered lies. I have not uttered curses. I have not committed adultery; I have not lain with men. I have made none to weep. I have not eaten the heart. I have not attacked any man. I am not a man of deceit. I have not stolen cultivated land. I have not been angry without any cause. I have not debauched the wife of any man. I have not debauched the wife of man. I have not been wroth. I have not shut my ears to the words of truth. I am not a man of violence. I have not been a stirrer up of strife. I have not acted with undue haste. I have not pried into matters. I have not multiplied my words in speaking. I have wronged none, I have done no evil. I have not worked witchcraft against the king. I have never stopped water. I have never raised my voice. I have not cursed God. I have not acted with arrogance. I have not stolen the bread of the gods. I have not carried away the khenfu cakes from the Spirits of the dead. I have not snatched away the bread of a child, nor treated with contempt the god of my city. I have not slain the cattle belonging to the god. But all who successfully reached the Underworld would be judged. This judgement consisted of the weighing of their heart or soul (resources vary on which it was). 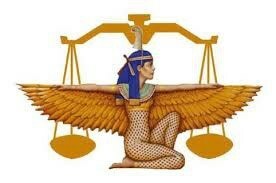 The heart/soul was placed on one side of Ma’at’s scales to be weighed against Her ostrich feather. Resources also vary on whether it was Osiris who did the weighing, or if it were Anubis who oversaw the weighing, and then brought the heart/soul to Osiris for judgement. If the heart/soul was lighter than the feather, then that person would leave for the Afterlife. 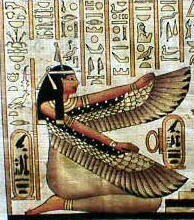 If, however, the heart/soul was heavier than the feather, indicating evil, then that person would immediately be eaten by the Goddess Ammit, who stood by waiting. Ammit had the head of a crocodile, the front legs of a lion and the back legs of a hippopotamus. Normally, Ma’at was shown standing or seated upon a stone platform or foundation. She has outstretched wings attached to both of Her arms, and sometimes holds a scepter in one hand and an ankh in the other. The stone foundation which holds Her represents the stable base on which Egypt’s balance and order has been built. Ma’at’s colors were black and purple and Her symbols are the ostrich feather, the platform throne and the ankh. She is the element of Air, the scent of Rose, and the Amethyst crystal. There is a small temple dedicated to Ma’at at Karnak, inside the precinct of Monto. it is the smallest of the temples there and is believed to be built by the beloved Hapshepsut. There may be evidence to indicate that a temple to Ma’at was built by Amenhotpe II at Ipet-Isut. In the name of Ma’at, I wish everyone a Blessed Yule/Winter Holiday Season, and to everyone around the world, a wish for truth, justice and freedom. So Mote It Be.